For the purposes of the EU General Data Protection Regulation ((EU) 2016/679) (“GDPR”), we, Felicia Tatum, are the “data controller”. 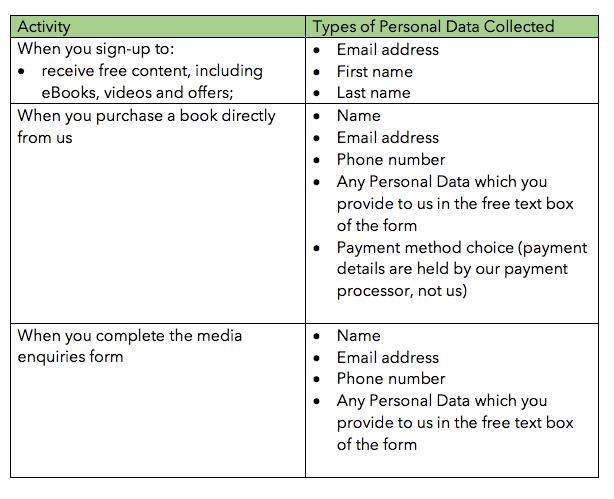 If you have any questions about this policy or about how we use your Personal Data, please contact us via our contact details at the end of this policy. This policy is effective as of May 4, 2018.